Draft Foam ControlAre Your Customers Foaming at the Mouth? Prevent countless pitchers of foamy beer from being wasted at the start of new keg. 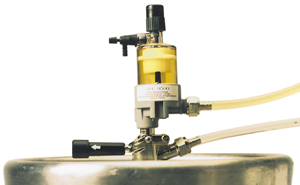 This unique device eliminates the creation of foamy beer by keeping CO2 from entering the beer line when a keg runs out of beer. 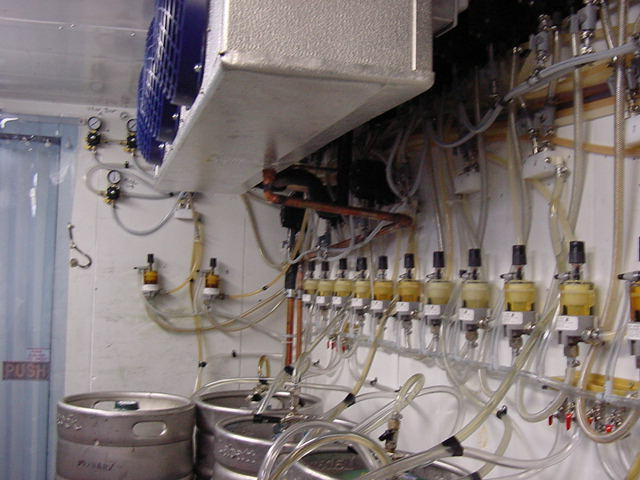 The Draft Foam Controls usually pay for itself after approximately six kegs by preventing unrealized profits from going down the drain. Recommended for draft dispensing systems where kegs are stored in walk-in coolers at least 10 feet from the beer faucets. Available in Keg-Mount or Wall-Mount models. Please specify when ordering. Note: The Wall-Mount model easily adapts to walk-in coolers that already have beer hose splitter wall brackets in place for the beer lines. * Multiply the glasses wasted per week by your profit per glass to see the money you could gain by using a Draft Foam Control. 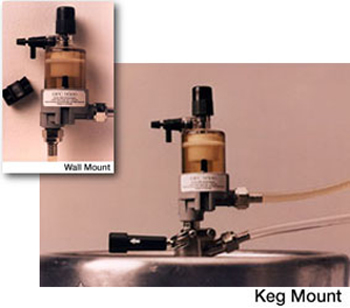 Click on this link to download a PDF version of the Keg Mount Draft Foam Control Instructions. Click on this link to download a PDF version of the Wall Mount Draft Foam Control Instructions.